Extended Arms (10"!) for a Hug-like feel! 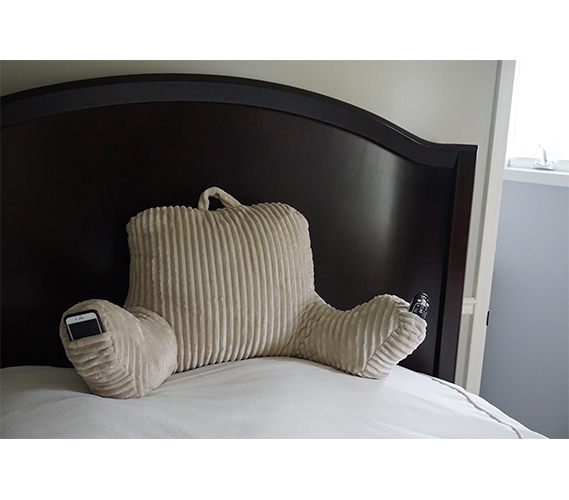 Supportive thick armrests... not just nubs like those other bed rest cushions you'll find! Dorm Co. Tip: A bedrest with a wrap-around bear hug feel! One often missed but totally-required dorm essential is a bedrest pillow! 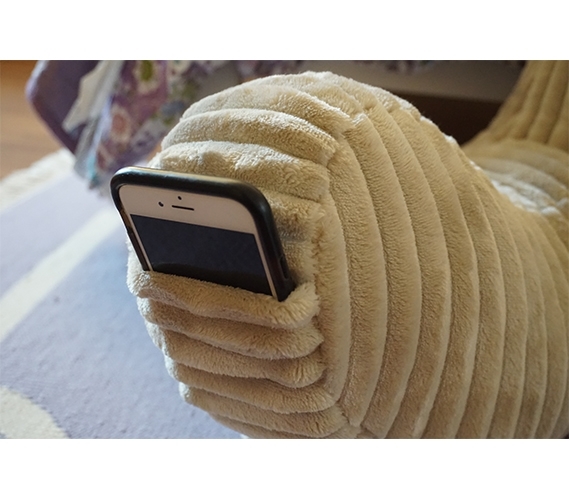 Your flat dorm sleeping pillows are great for napping and sleeping, of course, but rarely do they have the back support you need when propped behind you for comfortable studying or watching movies in your college dorm room. You must have a pillow designed for sitting and supporting you while working or hanging out in your dorm bed. 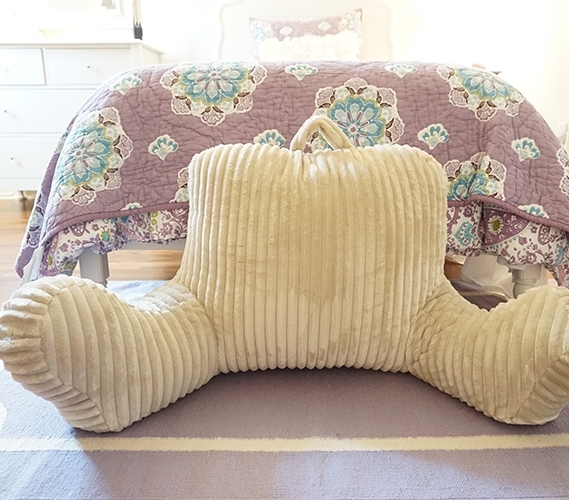 Our Hug Me Bedrest - Almond bed top dorm pillow is specifically designed, not only for long college study sessions or movie marathons, but for your overall comfort in your dorm room (and of course, after you leave college!) 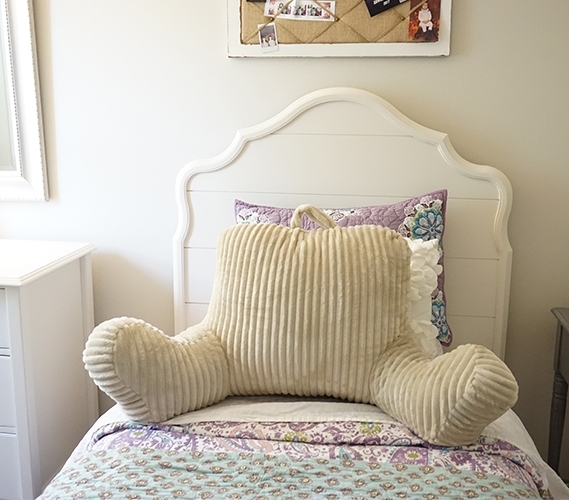 Our almond colored Hug Me Bedrest is a perfect neutral to match any dorm decor or college bedding color theme and brightens your dorm room making a great college essential for every college student. 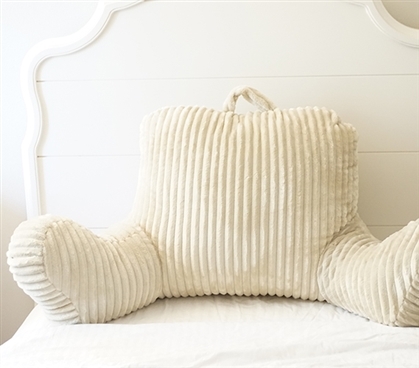 Beyond being stylish, our bedrest pillow is ridiculously comfortable. 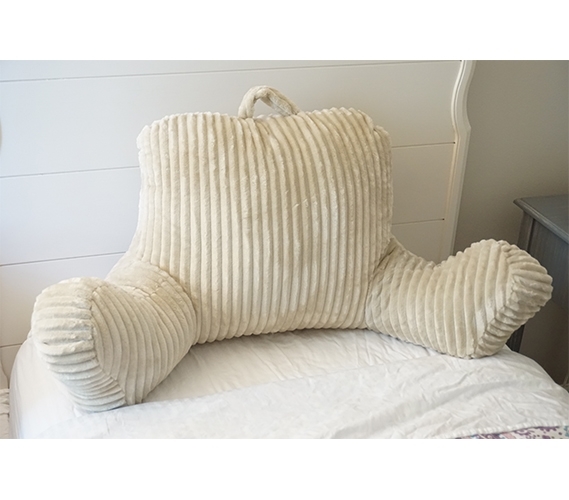 The arms and back are overfilled for a cozy plush softness while still giving adequate back support -- perfect for reading, playing video games, working on your laptop, or any other activity you can think of on your Twin XL dorm bed! 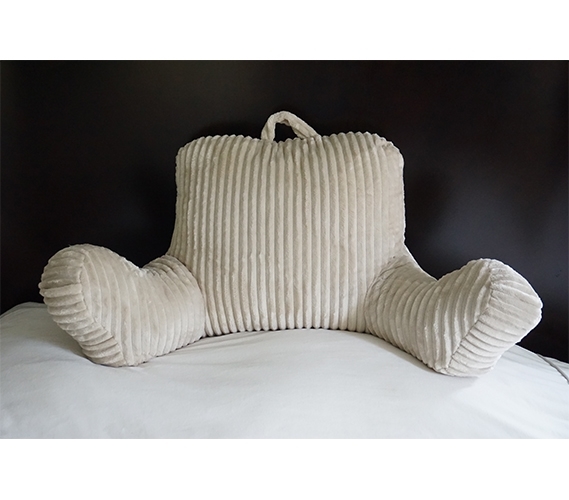 And what makes our Hug Me bedrest pillow unique are the 10” extended arms, often just little nubs on most bedrest cushions, these are actual arms that can you comfortably use! 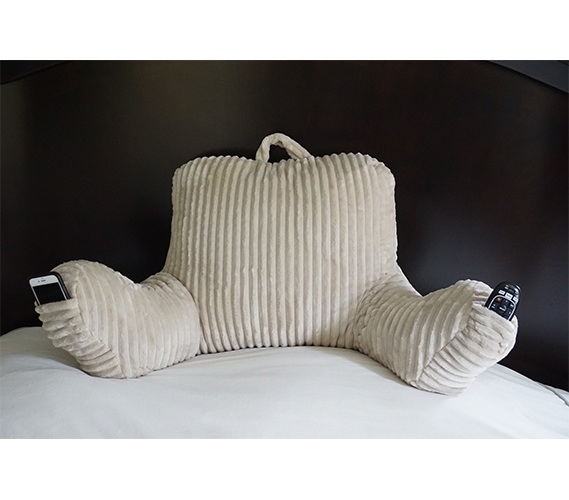 Perfect for a hug-like feel, our dorm bedrest pillow has supportive and thick armrests that provide a place to put your elbows (something that can be quite uncomfortable on traditional bedrest pillows), and has two small “secret” pockets that are great for storing your cell phone and TV remote, pens and highlighters, or other any other small accessories you may need quick-access to while using our dorm bedrest pillow! Don’t forget this dorm essential for your college bedding. Trust us, your back will thank you! Hug Me Bedrest ... 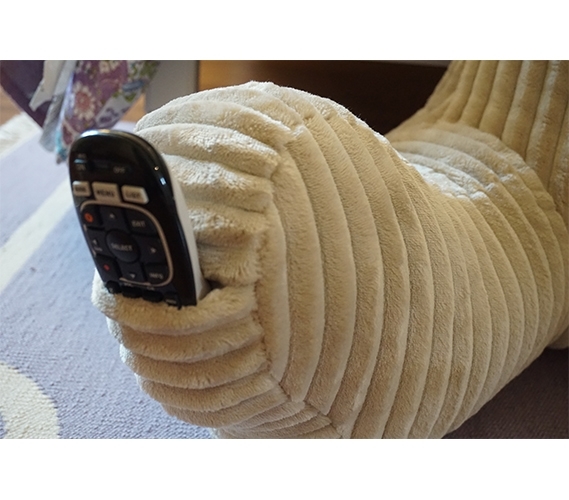 Comfort meets Convenience!